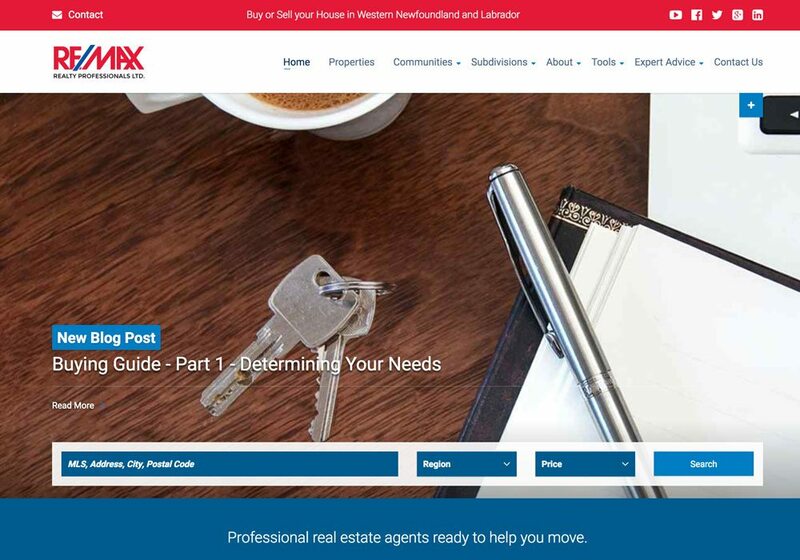 Re/Max Realty Professionals - Sevenview Studios Inc.
Re/Max Realty Professionals covers the territory of Western Newfoundland and Labrador. They approached us to develop their website into a more mobile friendly, modern website. Visit the Realty Professionals website. We also helped them with their social media marketing by providing consistent branding across all their platforms, and real time analytics tracking to help them identify and target their various demographics. A big part of this project was integrating with the DDF feed, which is a database of all available real estate. This feed updates daily, and is accessed by all the various agents of different real estate companies.